I am currently a Virtual Assistant and I will definitely be doing more things very soon. I’m not sure exactly what it is about my personality that draws me to people, but people love me. LOL! I like to think I’m wise and very humble. I’ve always been beyond my years and I had my oldest really young so I’ve always been like a mom to my core group of friends. Everyone comes to me to vent, for advice, all that cool stuff. I’m also very laid-back. I don’t like doing or being a part of anything too “extra”. To inspire others not to allow adversity break them down and not allow one temporary situation to define who they are for life. What someone else has to say about you is not your business. I define purpose as the thing that you’re supposed to do, the thing that was meant especially for you to do it. My fiance is “number one” – he supports literally anything I want to do. My aunt and my sister are probably my next biggest cheerleaders. I said in 2019 that I wanted to do more networking. 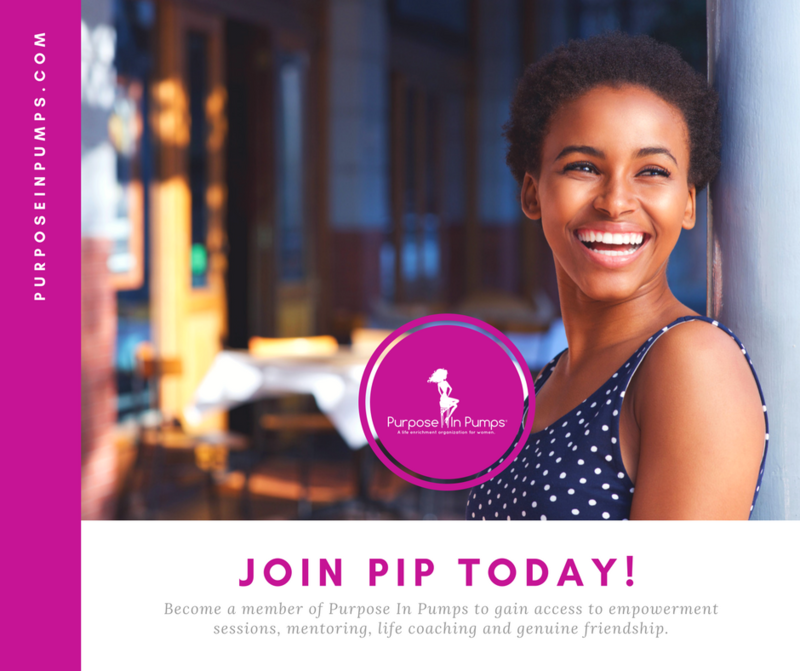 I came across PIP through a friend and was drawn to the fact that it’s not only a group for networking but for enhancing various aspects of your life to help you find and stand in your purpose. I’ve struggled, lately, with finding exactly what my purpose is and I hope to have some help with this being a part of this amazing group. Slow down. You’ll have the chance to experience everything you’re rushing to 10x over when the time is right. To finally be heard, appreciated, and to be treated as we deserve. My resilience. I’ve faced so much adversity in my life and I’ve never let it get me completely down nor have I let it make me lose faith. I am not a heels type of girl by any means – you’ll usually catch me in a pair of sneakers. I am trying to change that so I’d love some suggestions! LOL!